Marvel Studios has just announced the upcoming release of its latest comic book blockbuster, Doctor Strange to arrive on Blu-Ray 3D, Blu-Ray and DVD in late February. “Doctor Strange” is the story of world-famous neurosurgeon Dr. Stephen Strange (Benedict Cumberbatch), whose life changes forever after a horrific car accident renders his hands useless. When traditional medicine fails him, he travels to the remote Kamar-Taj in search of a cure, but instead discovers the mystical arts and becomes a powerful sorcerer battling dark forces bent on destroying our reality. The story of Doctor Strange, Master of the Mystic Arts, has mesmerized both audiences and critics and pulled in more than $658.3 million at the worldwide box office to date, and,as expected, it will arrive on home video formats with a host of bonus features. 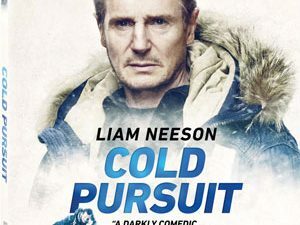 While the DVD version will be a bare-bones affair with no bonus features at all, the Blu-Ray version will reveal themselves to be real treasure troves, spearheaded by a Commentary Track by Director Scott Derrickson. The release also includes Five Deleted Scenes and a Gag Reel, as well as a host of Featurettes, such as ”A Strange Transformation”, displaying a new dimension of the Marvel Cinematic Universe, and how the filmmakers brought one of comic books’ greatest characters to life. In ”Strange Company”, you can find out what it’s like for the cast to work on a Marvel film, and how Director Scott Derrickson engineered one of the most ambitious, imaginative films ever. ”The Fabric of Reality” allows you to take a closer look at the movie’s extraordinary sets, meticulously crafted costumes and amazingly detailed production elements. ”Across Time and Space” invites you to explore the countless hours of dance and fight choreography the actors endured in preparation for their physically demanding roles. In ”The Score-cerer Supreme” you will join Composer Michael Giacchino and a full orchestra during live recording sessions, and experience the movie’s mind-bending music. The release is rounded out by the short film ”Team Thor: Part 2” showing you more of the hilarious partnership between Thor and his roommate Darryl. 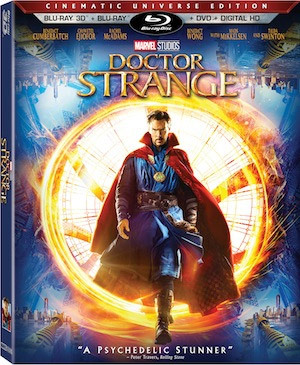 “Doctor Strange” arrives in stores on February 28 for $39.99 on Blu-Ray and $29.99 on DVD. Mark your calendars!